I have to admit I am a bit of a change bag addict so when I noticed a review opportunity for the Caboodle every day changing bag I jumped at the chance! 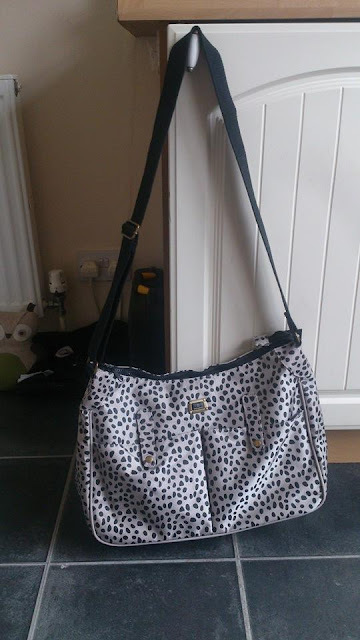 Since becoming a mummy a handbag is something that I have done without instead opting for a change bag that can fit both mine and babies things in. 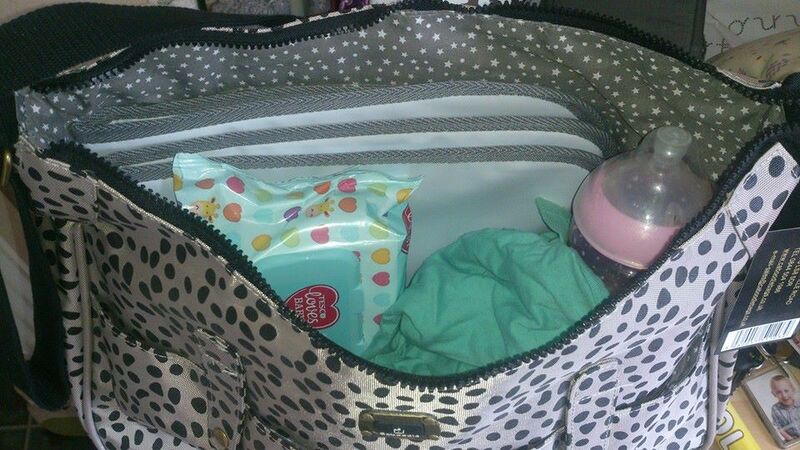 I like my change bags to be spacious, hard wearing and in a design that isn't to babyish. 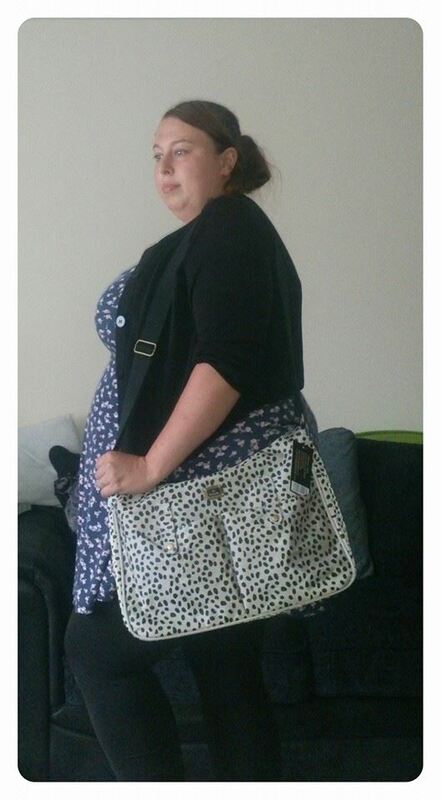 Upon receiving the Caboodle everyday change bag my first thoughts were that it looked huge! There seemed to be plenty of room for both mine and babies needs plus extra. In fact after some investigation we discovered you really can fit loads in this bag! I managed to fit all of my essentials (phone, purse, keys etc) plus Evelyn's essentials (nappies, wipes, change of clothes, snacks, beaker, muslin cloths, and a toy) and we still had more room! If you still aren't convinced check out this video from the Caboodle website showing you just how much you can fit inside a Caboodle every day bag. The bag is made from a coated nylon which makes it perfect use for a change bag as it can easily be wiped clean when needed. I received the change bag in the cream with black spots colour way however I felt that the cream was more of a beige / very pale brown colour rather than cream. The bag features 2 front pockets which are fastened with poppers (I would have preferred zip pockets for safety but the bag does contain several other zip compartments), a main compartment which is fastened with a zip and several internal pockets. The bag even comes with a matching changing mat, bottle insulator bag and even a "grubby stuff" bag to place dirty clothes etc inside to keep them from getting the rest of your changing bag dirty so it really does contain everything you need! The price of this bag is just £24 which I feel is a complete bargain for such a stylish, modern and spacious changing bag. Looks great! Even though we've moved on from a changing bag now, I still seem to lug a huge amount of stuff around when I have DD with me - drinks, snacks, toys, crayons, wipes - plus all my own stuff too! I think the days of a small handbag are well and truly over! That's a really nice change bag, I for one can not use them for both me and my daughter only because I am so short and this would just look big on me. I still use the free one we got from boots before she was born. 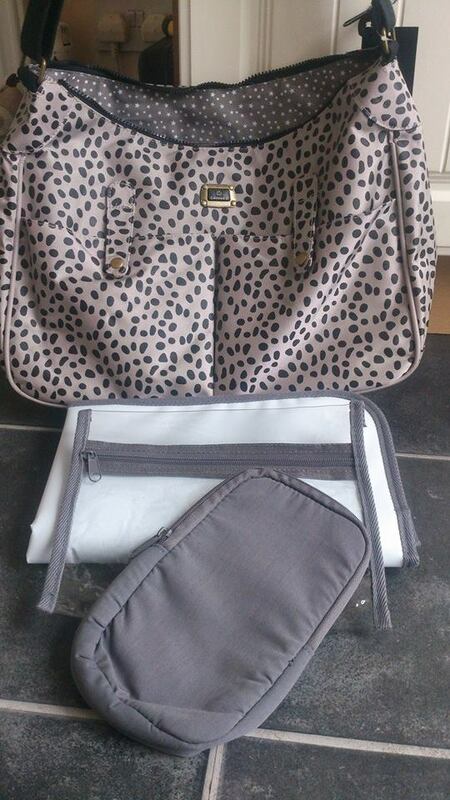 I will definitely check out the website though to see their range, £24 is nothing for a decent change bag.